"If you were God," asked Alan Watts, "what kind of universe would you create? A perfect one free of suffering and drama? Or one filled with surprise and delight?" 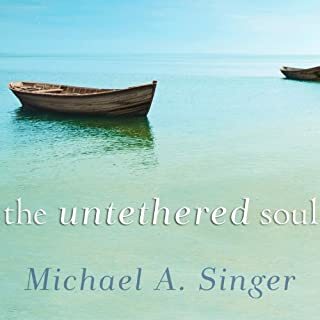 With Just So, the celebrated philosopher and self-described "spiritual entertainer" invites us to explore the hidden dimensions that shape both the cosmos and our personal experience of it. love Alan Watts. Its a trip. Life is the ultimate game of hide and seek... and the good news is that you're it! 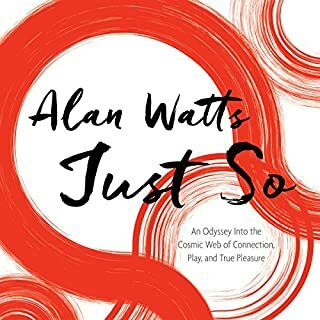 With the combination of playful irreverence and penetrating insight that made him a legend in Western philosophy, Alan Watts investigates the surprisingly liberating concept of "the universe as play" found at the heart of Hinduism, Zen, and other wisdom traditions. Mark Watts compiled this work from his father's extensive journals and audiotapes of famous lectures he delivered, in his later years, across the country. In three parts Alan Watts explains the basic philosophy of meditation, how individuals can practice a variety of meditations, and how inner wisdom grows naturally. Interesting take on meditation and reality. 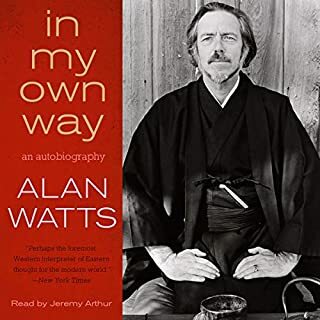 Macmillan Audio presents In My Own Way, Alan Watts' acclaimed autobiography, published for the first time in audio. 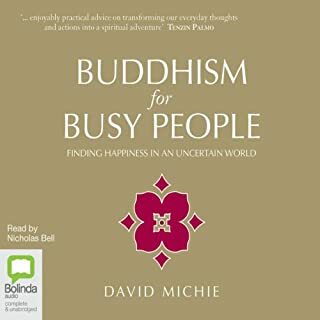 Discover how the understanding and practice of Zen can bring peace and enlightenment into your daily life in this classic work. 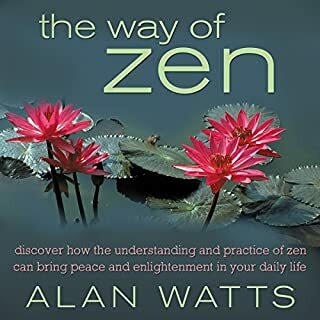 Narrated by Sean Runnette, this audio program presents Alan Watts's classic bestseller, introducing Western listeners to Zen Buddhism and elaborating on the key concepts including: The history of Zen, the principles and practice of Zen, the tradition of Za-Zen (meditation) and the Koan, and the integration of Zen into every aspect of life. The Way of Zen presents an understandable, inspirational, and spiritually rewarding exploration of Zen Buddhism. This is the first book to offer the great master's incisive wisdom in short selections taken from the whole range of his voluminous works. 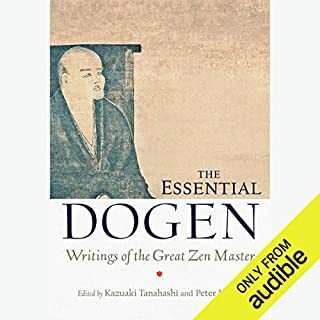 The pithy and powerful readings, arranged according to theme, provide a perfect introduction to Dogen - and inspire spiritual practice in people of all traditions. 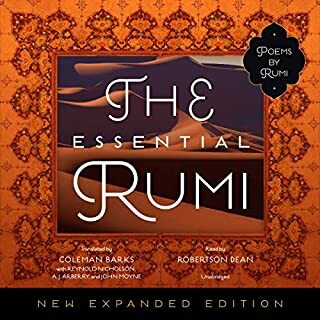 This revised and expanded edition of The Essential Rumi includes a new introduction by Coleman Barks and more than 80 never-before-published poems. Through his lyrical translations, Coleman Barks has been instrumental in bringing this exquisite literature to a remarkably wide range of listeners, making the ecstatic, spiritual poetry of 13th-century Sufi mystic Rumi more popular than ever. One of the best I've purchased. The science delusion is the belief that science already understands the nature of reality. The fundamental questions are answered, leaving only the details to be filled in. 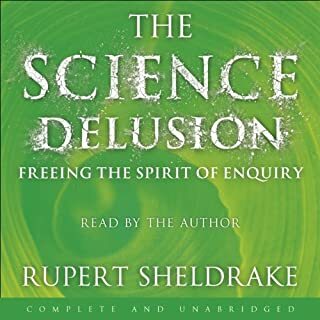 In this book, Dr Rupert Sheldrake, one of the world's most innovative scientists, shows that science is being constructed by assumptions that have hardened into dogmas. The sciences would be better off without them: freer, more interesting, and more fun. By the author of The Science Delusion a detailed account of how science can authenticate spirituality. To go beyond is to move into a higher state of consciousness, to a place of bliss, greater understanding, love, and deep connectedness, a realm where we finally find life's meaning - experiences for which all spiritual seekers seek. 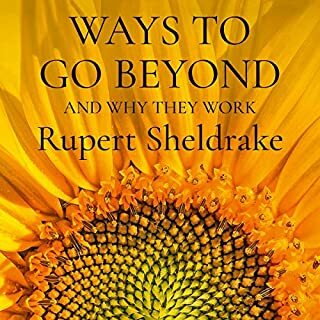 Dr Rupert Sheldrake, writing as both a scientist and a spiritual explorer, looks at seven spiritual practices that are personally transformative and have scientifically measurable effects. In order to come to your senses, Alan Watts often said, you sometimes need to go out of your mind. Perhaps more than any other teacher in the West, this celebrated author, former Anglican priest, and self-described spiritual entertainer was responsible for igniting the passion of countless wisdom seekers to the spiritual and philosophical delights of Asia and India. Now, with Out of Your Mind: Essential Listening from the Alan Watts Audio Archives, you are invited to immerse yourself in 12 of this legendary thinker's pinnacle teaching sessions about how to break through the limits of the rational mind and begin expanding your awareness and appreciation for the Great Game unfolding all around us. 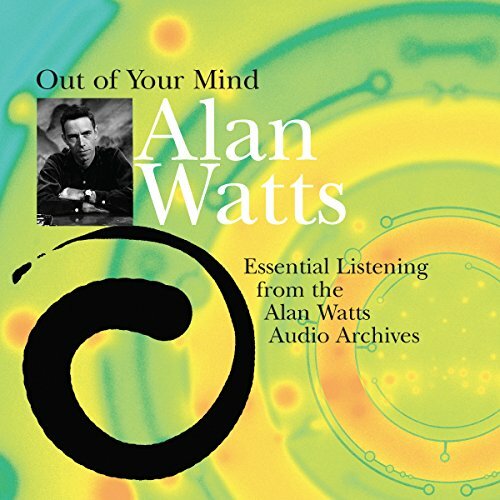 Whether you're completely new to Alan Watts or familiar with his work, here is a rare opportunity to experience him at his best, improvising brilliantly before a live audience on Out of Your Mind: Essential Listening from the Alan Watts Audio Archives. This is the same set of lectures and anecdotes as You're It - almost identical. I sent it back. Life saving, and yet ending my fear of death! 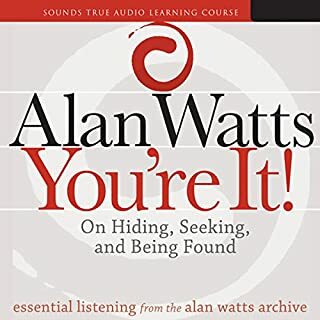 As a great fan of Alan Watts, I'd heard many of his talks over and over, but when I landed this compilation in my mp3 player, I was given 14 hours of his finest speech. That was originally shortly before being admitted to hospital for a stem cell transplant, a risky procedure for rebooting my immune system with healthy young bone marrow cells, while the cancerous cells destroying my bones were killed off with a massive dose of chemo poison. I mention this to illustrate the extraordinary experience I had in being kept safe, mentally, emotionally and spiritually by Alan Watts' unarguable description of reality from the inside-out. For two weeks, Alan kept me company as my ailing immune system was destroyed and then rebooted. His words eased my fears as they described my own being and relationship with the Universe in the most simple terms. On my way to recovery, I eventually grasped that which most people couldn't conceive. Not because it requires any great intellectual feat, but because we are not conditioned to experience the world from the inside-out, a perspective from which death cannot exist as a direct experience, anymore than birth can. 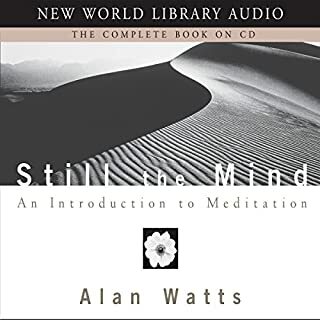 This material is profoundly capable of shifting one's perspective with repetitive listening, and Alan Watts' beautiful voice makes it a pleasure to listen to again and again. as moments of epiphanic A-Ha come thick and fast. Yes, because i had such a deep experience listening to Watts talking. 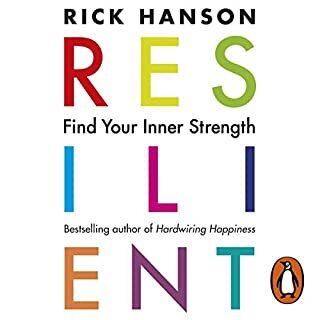 Years ago I read some of his books which were clear and helpful but seemed a bit quirky. Having now listened (twice) to 14 hours of him explaining Eastern thought in real depth I realise he was a deeply wise person who was really effective at putting across the unexplainable. On these 50 year old tapes he speaks directly to me today. Just now and again he makes a remark that would have seemed normal in 1966 but seems a bit non PC today. These came as a surprise because it reminded me that he wasn't in the room with me! 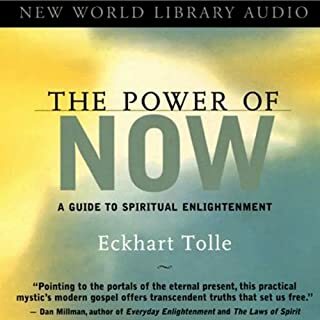 As an introduction to Eastern philosophy for a Western mind this was incredibly eye opening. It has changed the way I think about many aspects of reality and helped to strengthen my spiritual understanding. I am excited to read more of Watts' material and to discover more Eastern spiritual thought. The delivery was intelligent and witty although I felt that the structure was a little random and that many of the parts ended a bit abruptly. In his defence however, this was a lecture series and not a book. these lectures are fantastic! the way Alan watts presents is the best interpretation of of eastern philosophy for a western audience I have ever heard. 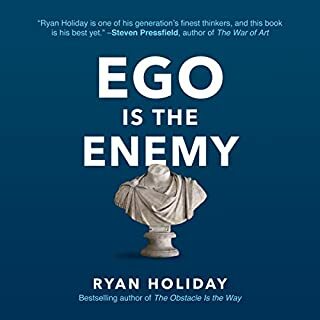 he simplifies methods for meditation and spiritual development so they no longer seem arduous long-winded processes involving tons of work and practice. I feel happier after listening. Really great if like me you are new to Alan Watts. He is a great speaker full of wisdom. I feel aware after listening to him. Like an artist opens your eyes to a subject so to does Alan open the heart to many ideas. Brilliant. Loved it. listening for a second time now. Loved it. listening for a second time now. Alan Watts is unique in that he doesn't ever sound like he's preaching and has a soothing calminv voice and great sense of humor. Really good. I read a lot of Alan Watts in my teens and found it fascinating and his books at the time upgraded my world view. Since then I've read spiritual texts by realised masters from the Buddhist and Hindu traditions and have had some experiences of the reality they talk about. I thought I'd revisit him as I'd enjoyed his works so much before. He does not compare to the texts by individuals who are permanently spiritually awakened, or the preciseness of great spiritual classics. He gets a lot of people interested but he's just at the gateway. I now see his works as a mish-mash of his own inconsequential thoughts and interpretations mixed with some interesting information. As long as he sticks to the subject of Zen and general spirituality he gets close to something, helps the reader get close, but the rest of it..... what an accepting, fawning audience, asking for no references or checks to the validity of what he is saying. I feel he would get a different experience these days. Rather than the unquestioning acceptance. The endless mansplaining is hard to take at times and nothing to do with anything. Rather muddy and muddled. I do believe he has the power to flip his readers into a spiritual state, which is quite an achievement. But as we now have access to many more spiritual texts, we can go straight to pure source. He's a mixed bag but has my gratitude. Alan Watts had the most beautiful way of drifting us listeners to the serenity that is our pleasure of listening to his lectures. 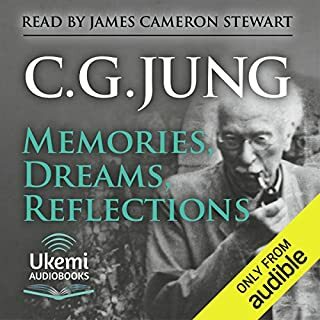 I would recommend this to anyone who takes a moment to glance at this review... You won't regret listening to this... :) The journey through this title is a funny one, much humour making the listening all that easier as well as taking in all the lessons :) - enjoy! How can I even start to express by words how insightful and amazing is Alan Watts. You must get this, it will change the whole perception of life. This book is as amazing as other Alan Watts books. However, if you already purchased "You're it" then this book is very very similar with identical talks. Brilliant. & Terrific to be able to listen rather than read! Wonderful to have the chance to not only receive the wisdom of this brilliant man, but to also actually hear the material as the original talk (& not read by a narrator). Thank you to everyone that made this possible. Fascinating material, perfect format. If you could sum up Out of Your Mind in three words, what would they be? This collection of original speeches by Alan Watts is amazing. It very detailed and very entertaining. Alan Watts has a way of taking serious ideas and explaining them in a humorous way. If you like philosophy, get this book. These lectures are great for anyone with an open mind, from the merely curious to those seeking satori. A self proclaimed "spiritual entertainer," Alan Watts takes various concepts from eastern religions and translates them for a western audience, providing both entertainment and insight along the way. If you ever need a new perspective on the human condition try giving Alan Watts a listen. This man passed over a decade before I was born, but his voice gives me comfort and his words bring me peace. He's helped me through some tough times, and I return to his lectures, or his writings, from time to time when I need a refresher. "So, translated into colloquial American, nirvana is 'whew.' 'Cause if you let your breath go... it'll come back." Fourteen hours of wisdom from the legendary Alan Watts. I own all of the other lecture series by Watts that are available on Audible and I did not hear any repeated material from those. I thoroughly enjoyed every minute, the sound quality is excellent given the age of some of the recordings. 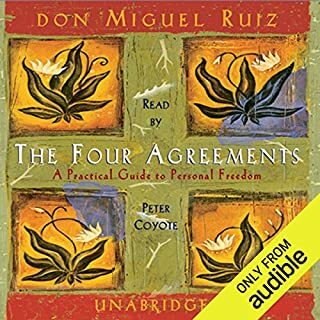 This is a great introduction to Zen and Eastern philosophy in general. 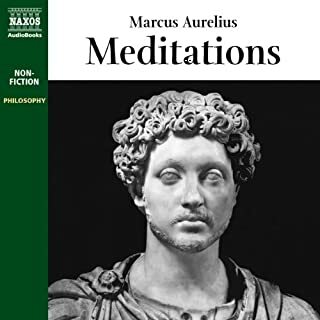 I can't recommend this highly enough, if you are a fan or just getting into this wonderful, entertaining philosopher you will not be disappointed! mind opening. Alan Watts has changed my life. 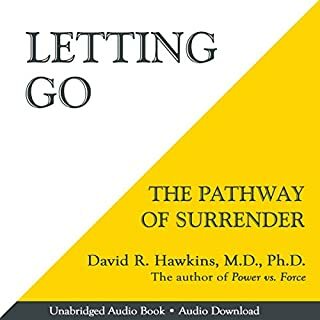 This book helped me cope with the loss of my mother and father. so very grateful! Alan Watts is a master at reminding us to stop clinging and to enjoy life. No words can describe what this has down to me. No words can describe what this has down to me. I loved it and I love Alan Watts.